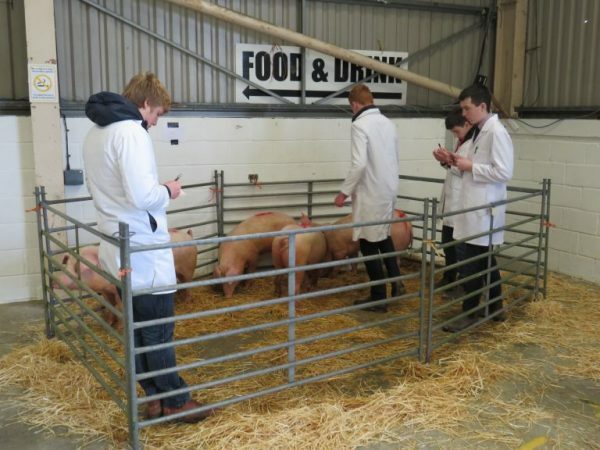 On Saturday, 23rd March 2019, the Wales YFC Public Speaking day was held up at the Showground, Builth Wells. During the day, hundreds of members from around Wales came to compete in the Public Speaking competitions, along with the Situations Vacant competition and ballroom dancing. Megan Bryer (Vale of Towy), Gwenno Roberts and Betsan Campell (Llanfynydd) represented the County in the Reading Section. Congratulations to the team for coming in the 3rd position. In the Junior Section, Sion Roberts, Aled Thomas (Llangadog) and Nia Thomas (St. Ishmaels) represented the County. Congratulations to this team for also coming 3rd. Sioned Raymond, Efa Jones (Llanfynydd), Cerys Thomas (Dyffryn Tywi) and Celyn Yate (St. Ishmaels) were the four representing the County in the Intermediate Section. Well done to all four for their effort. 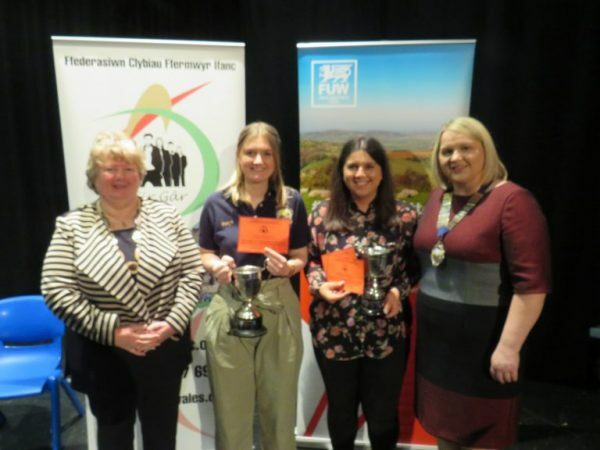 The County was represented by Mared Evans, Fiona Phillips, Cadi Evans (Bridgend), Iestyn Owen (Capel-Arthne) and Sara Roberts (Llanfynydd) in the Senior Section. Well done to the team and to all the members for their hard work in the English Department. 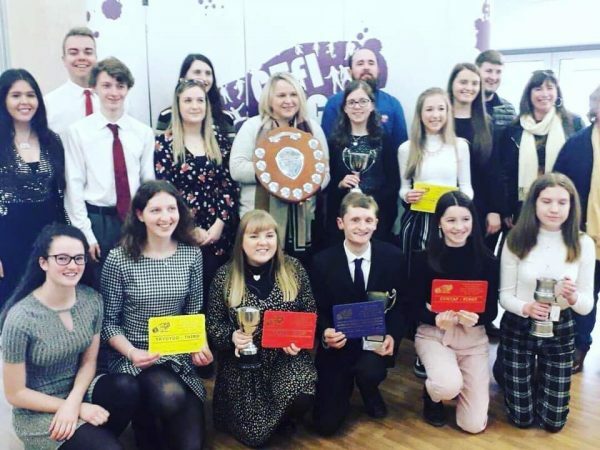 Carmarthenshire YFC had a great success in the Welsh Public Speaking Section, with members ensuring that Carmarthenshire was the Winning Federation in the Welsh Speaking Public Speaking Section. Gwenno Roberts (Llanfynydd), Megan Bryer (Vale of Towy) and Lois Davies (Llangadog) represented the County in the Reading Section. Congratulations to them for winning this Section. In the Junior Section, Lowri Powell (Penybont), Ffion Anderson and Lowri Anderson (Llanddarog) represented the County. Well done to the team for their efforts. The team representing Carmarthenshire in the Intermediate Section were victorious. Congratulations to Hannah Richards, Daniel O’Callaghan, Lleu Pryce and Cadi Evans (Penybont) for their excellent work. The Senior Section were also victorious. Congratulations to Sara Non Thomas (Llanfynydd), Sulwen Richards (Dyffryn Cothi) and Owain Davies (Llanllwni) for winning their Section. Congratulations also to Owain for winning the Best Individual Award in the Senior Section. Congratulations to everyone for ensuring that the Shield for the Welsh section comes back to Carmarthenshire. Angharad Thomas (Dyffryn Tywi) represented the County in the Situations Vacant competition. This competition asks a competitor to choose their own job advert to apply for, and then the competitors will be asked to attend an interview which will include specific questions about the post applied for and relevant requirements relating to the job. Congratulations to Angharad for coming 2nd in the competition. Many thanks to all members for their work and effort in representing the County. Also, we must thank the coaches for their work in helping the members with their presentations.